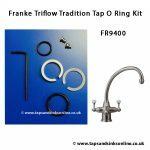 Home → Blog → I have a Franke Davos mixer tap which is dripping. Can you please advise me which discs/washers I need to purchase please? I have a Franke Davos mixer tap which is dripping. Can you please advise me which discs/washers I need to purchase please? 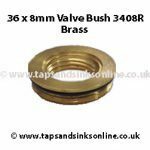 If your Davos Tap is dripping from the spout then it is most likely that you need to change the valves (one or both) and / or the brass bush ring (but usually its just the valve) hot or cold. 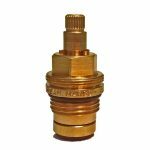 Before ordering replacement valve please see below for further information, images and measurements on the Manufacturers change of Valve from 1427R Cold (133.0069.364) and 1427R Hot (133.0069.365) to SP3547 Cold (133.0358.165) and SP3547 Hot (133.0358.167). 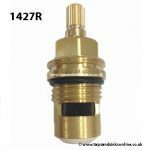 The manufacturer recommends that you order universal 1427R if replacing your valve. If your valve has 18 splines (earlier valve) we do not have this valve. 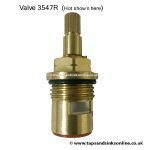 In 2014 the Franke Davos Tap Valve was changed by manufacturer from the 1427R Valve to the SP3547. Your installation guide will tell you exactly which part to order. EITHER valve IS compatible once you have the Davos Tap (although we do NOT stock the even earlier version with 18 splines). We have provided here measurements and images of both valves for reference if you don’t have your installation guide as otherwise you might receive a valve that looks different from your own valve, when you remove it, and think that you were sent the WRONG valve. 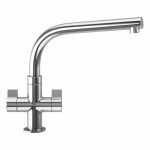 Both the Franke Davos and the Franke Davos J take the same valve in the current tech spec. If it is dripping where the spout meets the base then it is most likely that you need to replace the O Rings.